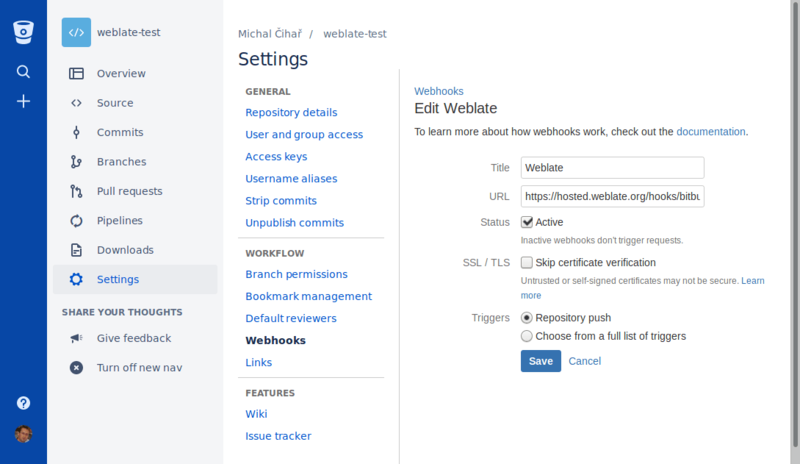 For Hosted Weblate there is a dedicated push user registered on GitHub, Bitbucket and GitLab (with username weblate named Weblate push user). 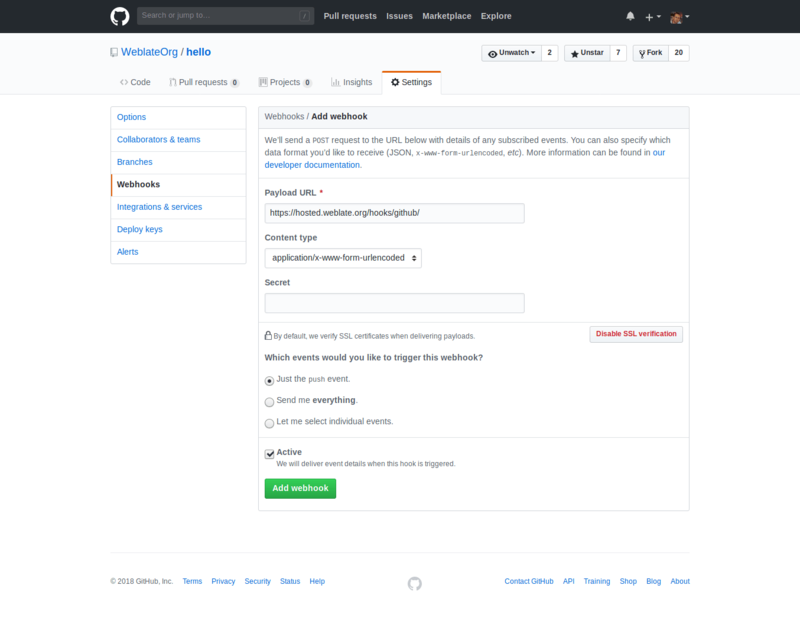 You need to add this user as a collaborator and give it permission to push to your repository. The user is added to the repository (in some cases this happens immediately, on GitHub it typically happens after accepting invitations what happens automatically every hour), you can configure your component push URL to a ssh URL of your repository (see Component configuration) and enjoy Weblate automatically pushing changes to your repository. 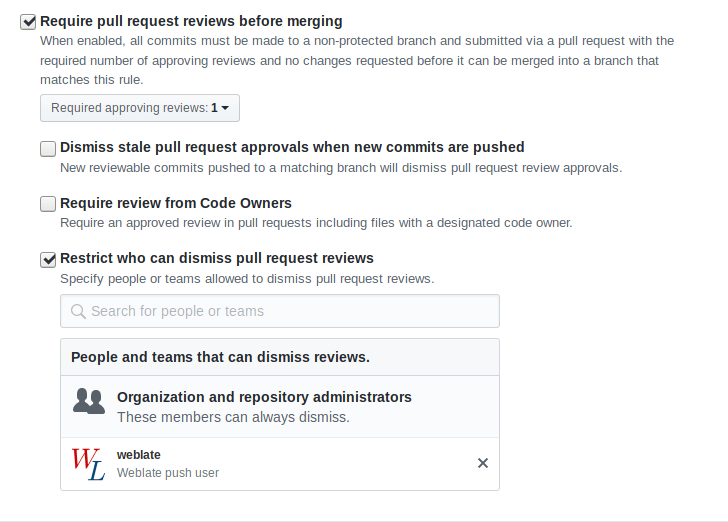 In case you do not want direct pushes by Weblate, there is support for GitHub pull requests or Gerrit reviews, you can activate these by choosing GitHub or Gerrit as VCS in Component configuration. 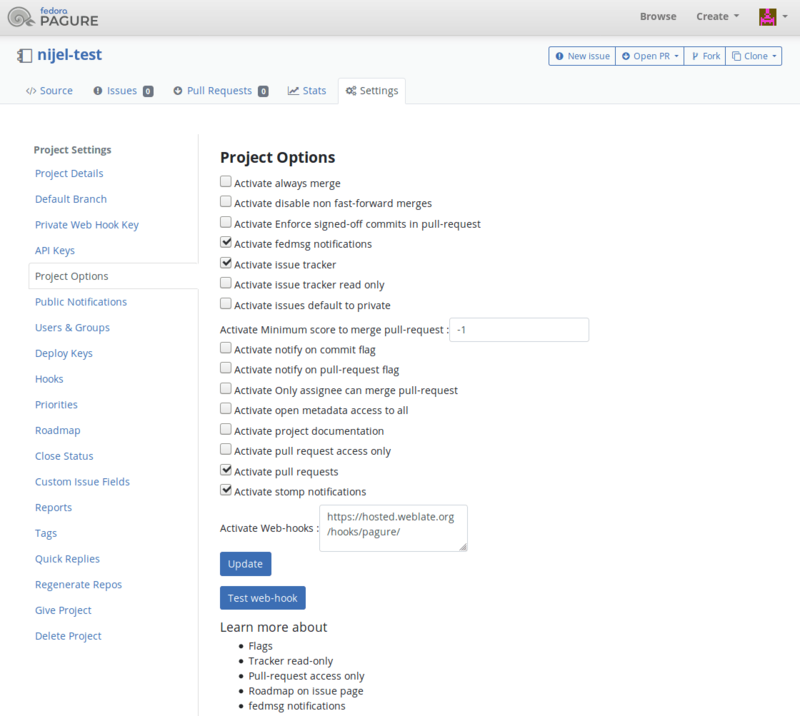 If you are using Weblate on protected branch, you can configure it to use pull requests and perform actual review on the translations (what might be problematic for languages you do not know). Alternative approach is to to waive this limitation for the Weblate push user.